Over the past three seasons, 210 teams have participated in bowl games. 47 of those teams had losing records in the years immediately preceding their bowl game. This semi-regular piece will showcase the losers from 2013 who just might find themselves participating in Capital One Bowl Week in 2014. In our eighth installment, we return to the mid-majors and examine the prospects of the Nevada Wolfpack. Summary: New head coach Brian Polian had some huge shoes to fill when he took the reigns of the Wolfpack program from hall of fame coach, and 'Pistol' purveyor Chris Ault. All Ault had done was take the Wolfpack to eight consecutive bowls since beginning his second stint as head coach in 2004. The Polian era got off to a rough start as the Wolfpack traveled to UCLA and lost by 38. They returned home and administered a beating of their own against IAA UC-Davis. The next week, they traveled across the country to take on eventual national champion Florida State, and the results were rather grisly. Returning home to lick their wounds, the Wolfpack opened Mountain West play with consecutive wins over Hawaii and Air Force and seemed poised to play in their ninth consecutive bowl despite the non-conference struggles. The Wolfpack lost their next two games, at San Diego State and Boise State to fall to 2-2 in the league before returning home to face in-state foe UNLV. 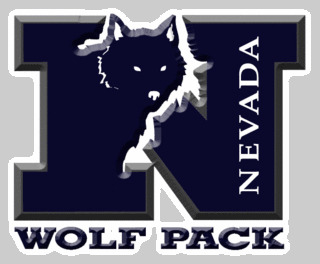 The Wolfpack had beaten the Rebels eight consecutive times by an average of 20 points. That streak would come to an end in a 27-22 Wolfpack loss. The Wolfpack then lost their next two games against eventual league champion Fresno State and bowl winner Colorado State. The Wolfpack did break a five game conference losing streak in their penultimate contest against San Jose State and played BYU tough in their finale. However, the end result was a 4-8 mark and their first losing season since 2004. What Did the Wolfpack Do Well? Play well at home. The Wolfpack went 3-1 in Mountain West play at home, including beating a six-win San Jose State team by three touchdowns. They did lose at home to UNLV, but the game was close, and they also gave a solid BYU squad a run for their money in their only other home loss. Suffice it to say, there were not a great deal of positives in 2013. What Didn't the Wolfpacks Do Well? Run the ball, at least as compared to their recent historical trends. From 2007 through 2012, the final six seasons of the Chris Ault era, Nevada never finished lower than twelfth in rushing yards per game. They finished in the top ten in rushing yards per game five times. Proving their runs were as nearly as efficient as they were voluminous, they also never finished worse than 19th in yards per rush. They also finished in the top ten thrice in yards per rush. Without the virtuoso Ault calling the plays, the Wolfpack dipped to 49th in rushing yards and 87th in yards per rush. Their rushing average of 3.90 marked the first time it dipped under four since 2002. The following table lists Nevada's performance (in conference play only) in a few key categories and their respective conference rank in those categories. To help you read the table here is a handy translator. Conf: The Conference Nevada played in. With the ever-changing college football landscape, this is helpful. YPP: Yards per play. The number of yards per play the Wolfpack averaged in conference play. YPA: Yards per play allowed. The number of yards per play the Wolfpack allowed in conference play. Nevada enjoyed their best season in school history (at least as a IA program) in 2010 with the help of a certain senior quarterback you may have heard of. Perhaps surprisingly, Kaepernick and tight end Virgil Green were the only offensive players drafted from that team. The Wolfpack ended that 2010 season with just a single loss and a number eleven ranking in the AP Poll. Sans Kaepernick, and as expected, the Wolfpack declined the following season, but still returned to the postseason on the strength of their offense. The Wolfpack left the smoldering wreckage of the WAC following the 2011 season and began life in the Mountain West. The Wolfpack found life a little more difficult in their new conference, but sent their coach off into the sunset with another postseason bid. The offense remained one of the best in the league, but the defense continued a disturbing trend of diminishing returns. Without Ault calling the shots, the offense failed to pull its weight in 2013. The defense was unable to pick up the slack, continuing its downward trend and resigning the Wolfpack to a losing season. If the Wolfpack are to return to the postseason in 2014, they will have to perform well in Mountain West play because there do not appear to be a great deal of wins available in the non-conference schedule. Nevada opens play against IAA Southern Utah, but the level of competition ratchets up soon after with a home date against Mike Leach and the Washington State Cougars. The Cougars have been a pretty sorry program for the last decade or so, but appear to be back on the upswing under Leach. The Wolfpack then travel to Tucson to stage a rematch of the 2012 New Mexico Bowl, a thrilling Arizona comeback that also happened to be Ault's last game as head coach. Their final non-conference game comes midway through the season when they travel to Provo to take on BYU. The Wolfpack are likely to be underdogs in each of their final three non-conference games, so even salvaging a split in non-conference play would be an accomplishment. In Mountain West action, the Wolfpack have the unenviable task of hosting four bowl participants from last season: Boise State, Colorado State, Fresno State, and San Diego State. While the Wolfpack should win at least one, and perhaps more of those games, hosting some of the weaker conference members would be preferable in terms of qualifying for a bowl. Their road conference games include trips to Air Force, Hawaii, San Jose State, and UNLV. Air Force suffered a losing season last year, but had played in six consecutive bowl games prior to last season's implosion. Hawaii did not win a single Mountain West game last year, but was better than their record indicated (five of their eight league losses came by a touchdown or less) and playing on the islands is never easy. San Jose State and UNLV both finished bowl eligible last season, with UNLV actually playing in the postseason. The offense can improve. Nevada will enter the 2014 campaign with a senior quarterback, Cody Fajardo under center. No one will confuse Fajardo with his predecessor, but he has thrown for over 7000 yards and rushed for more than 2400 in his career. Fajardo does lose his number one target, Brandon Wimberly, but a pair of senior receivers, Richy Turner and Aaron Bradley return. The Wolfpack had a solid track record of offensive success prior to 2013, so a return to the upper reaches of the Mountain West on that side of the ball would not be unheard of. Sometimes we assign simple and specious answers to complex questions. Why did Nevada's offense decline in 2013? Obviously because the newbie coach was not able to fell the legendary shoe's of his predecessor. What about the loss of three starting offensive linemen from the 2012 team? What about a tougher schedule (all eight teams that beat Nevada went to bowl games)? And what about total randomness? Personally, I think the loss of Ault played a role, but a confluence of multiple events including the three mentioned earlier, also conspired to sink the Wolfpack. So with better luck, a more experienced line, and more seasoning under Polian, are the Wolfpack due for a rebound? Possibly, if not for the schedule. The non-conference slate is daunting by mid-major standards, with the just one near certain victory. In conference play, the Wolfpack have the misfortune of playing the teams likely to be near the top of the Mountain West at home and the mediocre to bad teams on the road. A little more variety in their home and road schedule would be more conducive to a bowl bid. Consider the following thought experiment. Let's say Nevada ends up as about the 80th best college football team in 2014 (not too far fetched since they were rated 84th by the SRS method in 2013). Now let's pretend they host a team rated about 40th (Fresno State perhaps) and travel to face a team rated 95th (what about Hawaii?). The Wolfpack will certainly stand a chance of beating Fresno at home, but the Bulldogs are a stronger team. In addition, while Nevada is a better team than Hawaii, the difference is not large, and this game is on the road. Now let's reverse the venues. Nevada would continue to be an underdog versus Fresno State (albeit more prohibitively), but they also stand a much better chance of beating Hawaii at home. In the second scenario, they have better odds of earning a split. I'll leave the math to better minds (and bigger nerds). This is how Nevada's 2014 schedule will play out, but on a much larger scale. If the venues for some of their conference games were reversed, a bowl game would be more likely. As it stands, I think Nevada will improve, but it will not be reflected in their final record. Over the past three seasons, 210 teams have participated in bowl games. 47 of those teams had losing records in the years immediately preceding their bowl game. This semi-regular piece will showcase the losers from 2013 who just might find themselves participating in Capital One Bowl Week in 2014. For our seventh installment, we head to the midwest and examine the prospects of the Indiana Hoosiers. Summary: The third season of the Kevin Wilson regime began rather auspiciously as the Hoosiers laid the lumber to IAA Indiana State in their opener, winning 73-35. Considering the Hoosiers beat their IAA opponents in Wilson's first two seasons by just 17 and seven points, this seemed to indicate a potential postseason bid was in their future. Their bowl prospects were significantly dashed the following week when they lost at home to Navy. The Hoosiers rebounded from that disappointment to decimate eventual MAC champion, Bowling Green, by 32 points. In their final non-conference game, they fell at home to eventual SEC runner-up, Missouri. With their two non-league losses, the Hoosiers needed to split their Big 10 games to qualify for a bowl. In their conference opener, and fifth consecutive home game, they throttled Penn State 44-24, for their first win over the Nittany Lions in school history. The following week, they put up the most points Michigan State would allow all season (28), but lost by two touchdowns. They gave up 63 points the following week to Michigan and lost by 16. They then lost at home to Minnesota to drop to 3-5 with their bowl dreams squarely on life support. Thankfully, the Illini came to town the next week and Indiana hung 52 on them to notch their fourth victory. The Hoosiers then traveled to Madison and and lost 51-3 to the Badgers, continuing a disturbing trend. In their last four games against Wisconsin, Indiana has been outscored 255 to 44. The Hoosiers clinched their 18th losing season in 19 years the following week when they fell at Ohio State. The Hoosiers were able to get to five wins for just the fifth time since 1994 when they trounced Purdue in their season finale. Though they missed out on the postseason, the Hoosiers did improve their win total for the second consecutive season under Wilson. What Did the Hoosiers Do Well? Move the ball. Indiana ranked third in the Big 10 in yards per play in the conference, averaging a robust 6.29 yards per snap (behind Ohio State and Wisconsin). The Hoosiers also turned those yards into points, averaging 38.4 points per game, their highest scoring average in school history and the second consecutive season they have eclipsed the 30 point per game average. What Didn't the Hoosiers Do Well? Play defense. 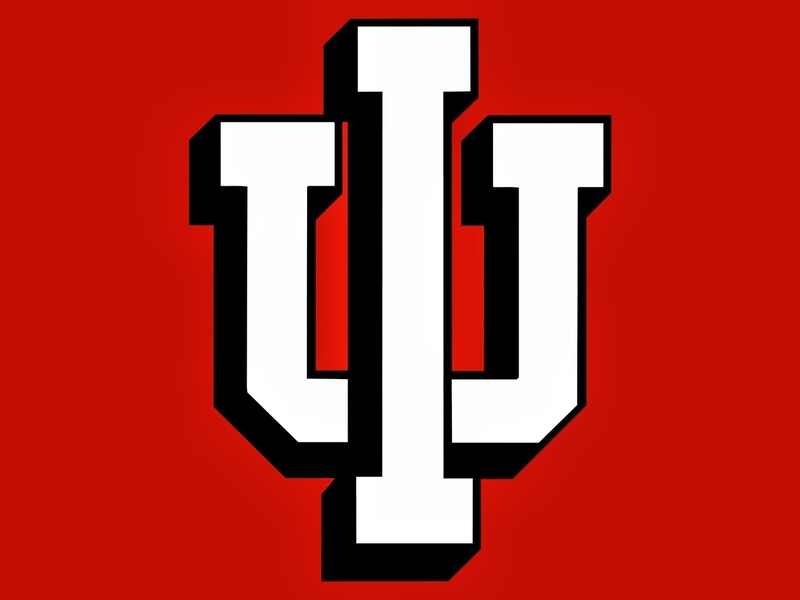 Despite averaging nearly 40 points per game, the Hoosiers did not qualify for a bowl primarily because they allowed just as many. The defense permitted opponents to average 7.35 yards per snap in Big 10 play, meaning every team they faced suddenly became Ohio State. The Hoosiers have now finished dead last in yards per play allowed in four consecutive seasons. Perhaps their worst performance came in the trip to Madison. In that game, the Badgers rushed 50 times for an almost inconceivable 554 yards, averaging more than eleven yards per carry. The following table lists Indiana's performance (in conference play only) in a few key categories and their respective conference rank in those categories. To help you read the table here is a handy translator. Conf: The Conference Indiana played in. With the ever-changing college football landscape, this is helpful. YPP: Yards per play. The number of yards per play the Hoosiers averaged in conference play. YPA: Yards per play allowed. The number of yards per play the Hoosiers allowed in conference play. The Bill Lynch era ended in 2010 with the Hoosiers winning just a single conference game for the third consecutive season. Not only was the defense horrendous, but the offense was also the second worst in the conference. The Hoosiers did end the season on a high note, beating Purdue in overtime to end a twelve game conference losing streak. Kevin Wilson was hired away from Oklahoma and given the unenviable task of righting the Hoosier program. His first season in charge was not one to remember. The Hoosiers lost non-conference games to Ball State and North Texas and went winless in the Big 10. Things would improve in 2012. The Hoosiers once again lost to Ball State, but they also won multiple conference games for the first time since 2007. The defense remained atrocious, but the offense moved to the middle of the pack among Big 10 teams. A bowl bid certainly seemed within reach when the 2013 season began. However, their non-conference loss to Navy and the rise of Missouri meant the Hoosiers would gave to win four Big 10 games to earn a postseason bid. Despite finishing with a losing record for the fifth consecutive season, Indiana once again saw their offense improve. If the defense can make even modest gains going forward. Indiana fans can make plans for a bowl trip in late December. The Hoosiers did themselves no favors in their non-conference scheduling last season, tackling an SEC team (Missouri), the MAC champion (Bowling Green), and a solid mid-major (Navy). Their 1-2 record in those games cost them a bowl bid. The 2014 non-conference schedule features three quarters of the same teams as last year, albeit with some location changes. The Hoosiers once again open the year at home against IAA Indiana State. Following what should be an easy win, the Hoosiers again play Bowling Green and Missouri, but must now take their show on the road. Bowling Green, despite the loss of Dave Clawson, appears to have hired a capable replacement in Dino Babers. A win here by the Hoosiers is certainly not assured. The Hoosiers figure to be solid underdogs the following week when they head to Columbia, Missouri. The Tigers won in Bloomington last season to break an eight game winless streak against the Hoosiers (granted they had not played since 1992). A win here by Indiana would not seem impossible, but rather unlikely. Indiana's final non-conference game is at home against North Texas. In Wilson's first season, Indiana lost at North Texas in a game where the Mean Green jumped out to a huge lead and hung on at the end. North Texas was a quality team in Conference USA last season, but should not be able to handle the Hoosiers in Bloomington. At worst, Indiana should expect a split in their non-conference games. A 3-1 record is certainly a possibility, while a 4-0 mark appears to be little more than a pipe dream. This means the Hoosiers will need to get to three and perhaps four Big 10 wins to qualify for a bowl game. The conference schedule includes home games against Big 10 noob Maryland, Michigan State, Penn State, and Purdue. Beating the Rose Bowl champion Spartans would be a tall order, but the games against Maryland, Penn State, and Purdue are certainly winnable. Their Big 10 road slate includes trips to Iowa, Michigan, Ohio State, and Rutgers. Thankfully for the Hoosiers, the Wisconsin Badgers are off the schedule. Three cheers for realignment! Michigan and Ohio State are likely losses and the Hoosiers will likely be a solid underdog at Iowa as well. That leaves Rutgers as the likeliest of road scalps for the Hoosiers. Presumably an afterthought national game appearing on ESPNU or the Big 10 Network in mid-November, the contest will have a profound impact on whether Indiana qualifies for a bowl game. The offense can be legitimately scary. The Indiana offense has improved each season under Kevin Wilson. Both quarterbacks from last season, Nate Sudfeld and Tre Roberson, return as does top receiver Cody Latimer. Last season, Latimer became the first Hooiser receiver to gain more than 1000 yards since James Hardy in 2007. Last season's leading rusher, Tevin Coleman also returns. Coleman and the departed Stephen Houston combined for over 1700 yards on the ground while averaging over seven yards per rush. If Coleman stays healthy in 2014, he should become the first Indiana back to go over 1000 yards rushing in a season since Levron Williams in 2001. The Hoosiers should remain in the top third of the Big 10 in terms of offensive prowess. Will this be enough to earn them a postseason trip? What do we know about Indiana in 2014? The offense will be good and the defense will be bad. The question is, how good and how bad? The best case scenario is slight improvement on both sides of the ball keeping the offense near the top of the conference and making the defense merely bad instead of historically inept. However, while the offense should remain above average, improvement is not guaranteed and some slight regression could occur. On the other hand, while statistically it seems the defense has to improve, that unit has a distinguished track record of incompetence. It's not inconceivable for them to remain at the very bottom of the Big 10. With those caveats, Indiana does appear to be on the upswing. and they are probably due to catch some breaks (they are just 2-11 in one score games under Wilson). Even though the non-conference schedule has a pair of tough road games, I think the Hoosiers will get to seven regular season wins and grab that elusive postseason invite.